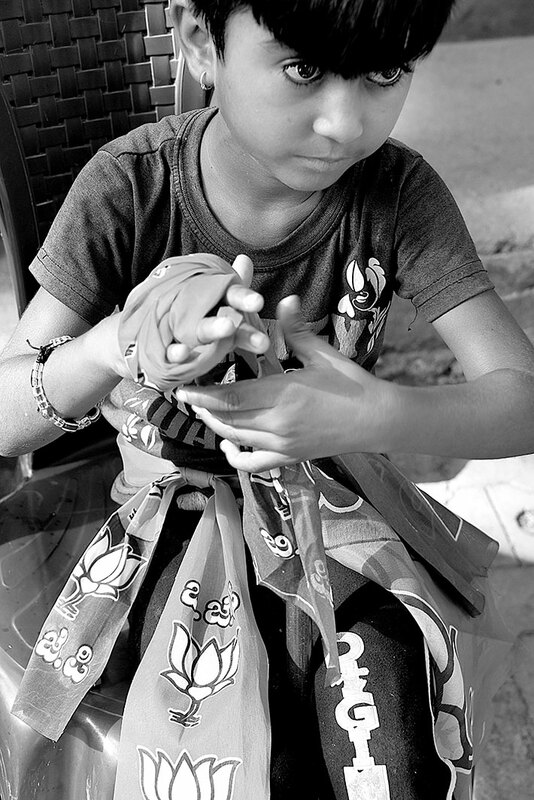 The above picture was shot in a slum near Neelasandra. 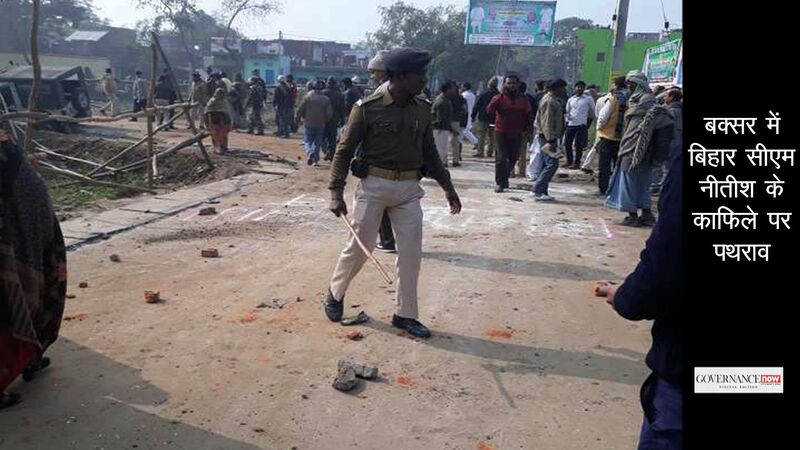 It’s a Muslim-dominated area where people have been fervent Congress supporters. They were enthusiastic about being photographed. Luckily, I was able to get a candid shot of a father-daughter duo trying to find the right pose to get the perfect poster shot. What strongly came across was ‘the Hand’. 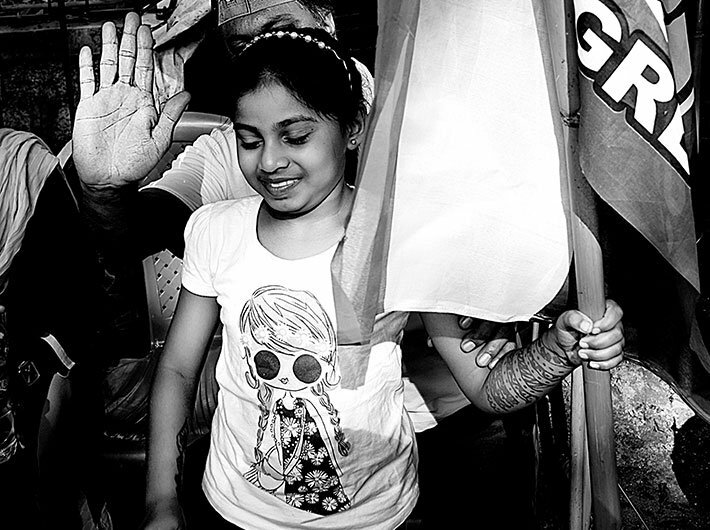 Here was a father trying to tell his daughter how she should hold up her hand and pose in a certain way. It was a classic example of how political loyalties are passed down to the next generation without the latter realising and understanding the intricacies involved. As if caste, religion and stereotypes weren’t enough, we are now being born labeled with a party stamp. 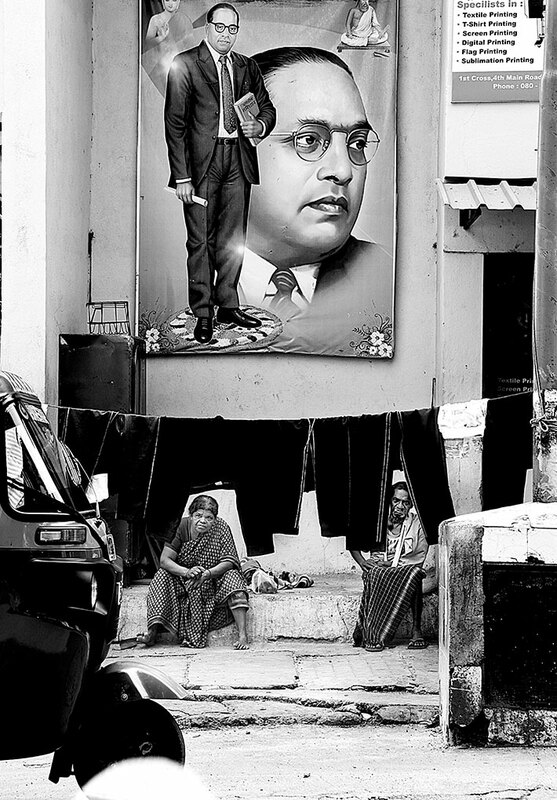 A two-in-one portrait of Dr Ambedkar, the ‘Voice of the oppressed’, is positioned above two people in a magnanimous light. It’s almost tragic that he’s looking in another direction and avoiding eye contact from his people. The neighbourhood – Malleshwaram, not far from the BJP media centre – is home to the lower-income group but is sandwiched between a mall and one of the swankiest localities of Bengaluru. I tried to bring out that contrast out with a tight frame. The little kid at one point had so many scarves in his hand that he found it difficult to keep them safe and in one place at the same time. He copped a squat away from the rally, quickly assembled all the bands and ran back to his rightful place in the rally. Being a huge ‘Gangs of Wasseypur’ fan, when I was forming this frame, the theme tune was thumping in my head. The man and his tribe! 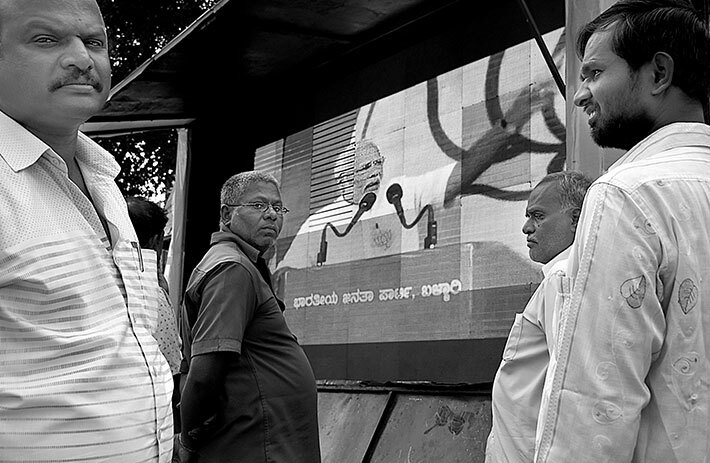 Booths like these were set up in a lot of areas where one could hear the PM speak. 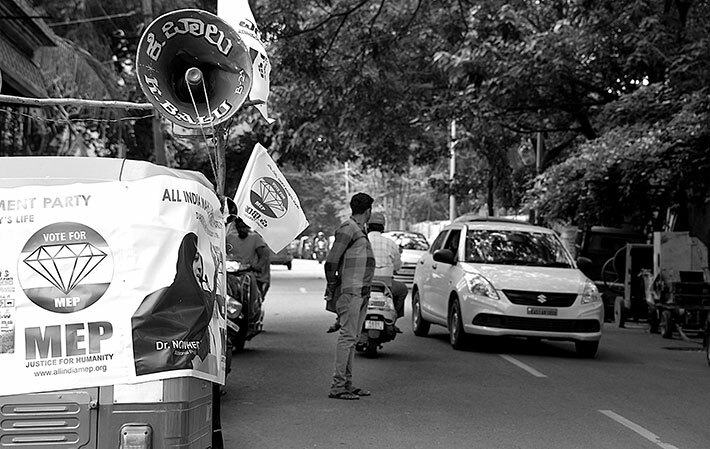 Next to rallies, auto-rickshaws provided the most preferable option to reach out to the voter. Every party deployed them. 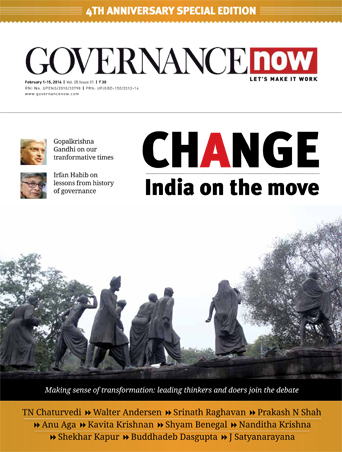 I spoke to some auto-wallahs who told me they worked in shifts for different parties. One could be driving around for the Congress in the morning, and the BJP in the evening.